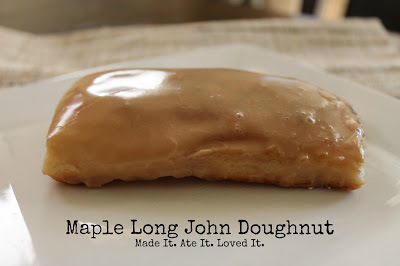 Maple Long John Doughnuts - Made It. Ate It. Loved It. 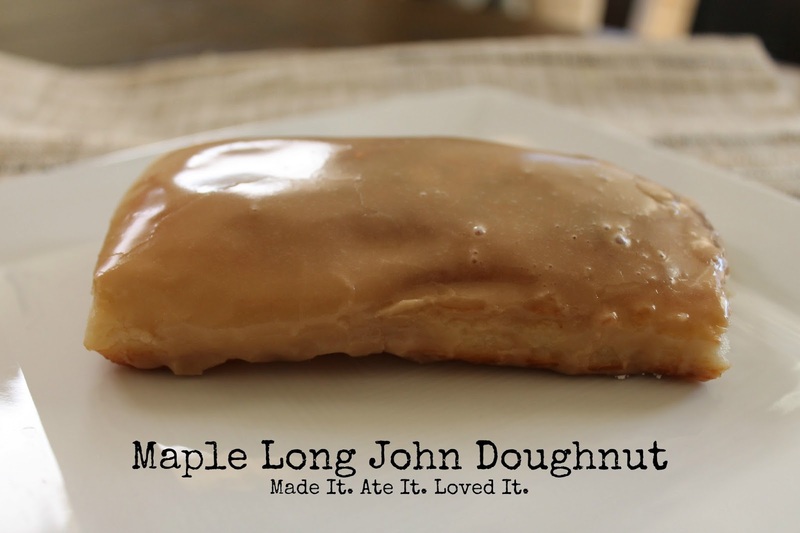 To celebrate I have a recipe for maple long johns (which of course are one of my favorites!) These doughnuts do take a little bit of time because they have to rise twice, but they are pretty easy and fun for the whole family! Place water, sugar, and yeast in a bowl and let sit for 5 minutes. While that is sitting place milk on stove top and heat until warm (continue to check it so it does not get too hot and curdle) After it has sat add the milk, butter, sugar, salt, and egg. Mix together. Slowly add the flour. Dough needs to be a little sticky. So add more of less flour depending on how sticky your dough gets. Grease a bowl and place dough in it. Cover and let rise for about a hour or until doubled in size. Once it is doubled punch down the dough and place on a floured surface. Roll out the dough into a large rectangle. (about 12 inch x 8 inch) Cut into smaller rectangles (about 3 inch x 1 inch). Grease a few cookie sheets and place 6 to a cookie sheet. (I used 3 cookie sheets total) Cover and let rise about until doubled. 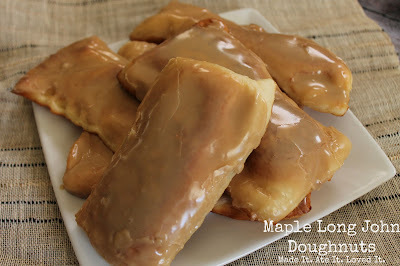 (These will take a little less time to double, around 30 minutes) Place oil in skillet or deep fryer. I found the best way to get the doughnuts cooked without getting them too brown is to cook them on low and watch them closely. Turn when starting to get golden brown. After they are cooked on both sides place them on a paper towel to collect access grease. Let the doughnuts cool before frosting them. In a small bowl add sugar and extract together. Slowly mix in milk to your preferred consistency. 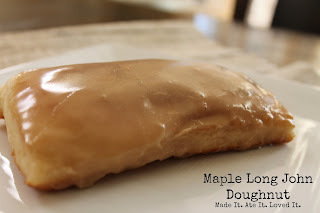 If you want more of a glaze add more milk. If you want a thicker frosting add more powdered sugar. Frost doughnuts once they are cooled. These look amazing!!! I can't wait to give them a try!